This plush pillow will bring coziness to any room. 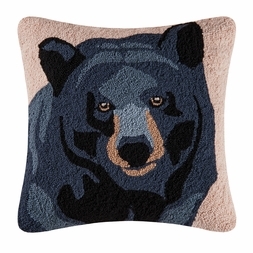 An impressive black bear is displayed in a soft hooked acrylic in beautiful earthtone colors. The detail is so life-like! Perfect gift for any nature lover.